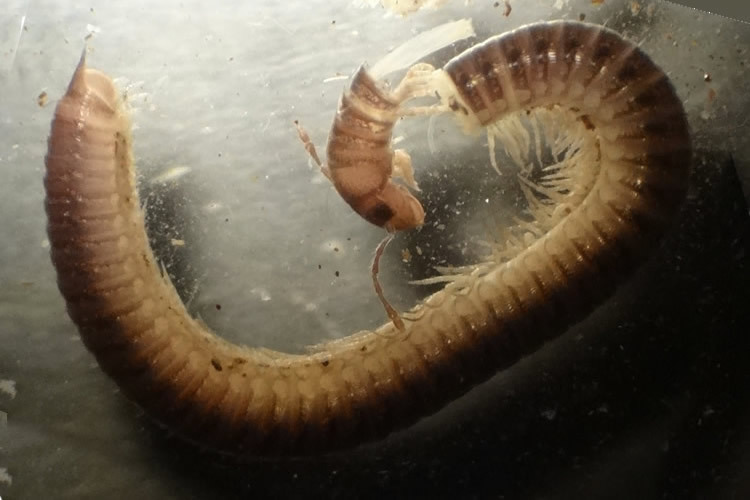 This recently discovered millipede is very similar in appearence to Ophyiulus pilosus, but much larger in size. 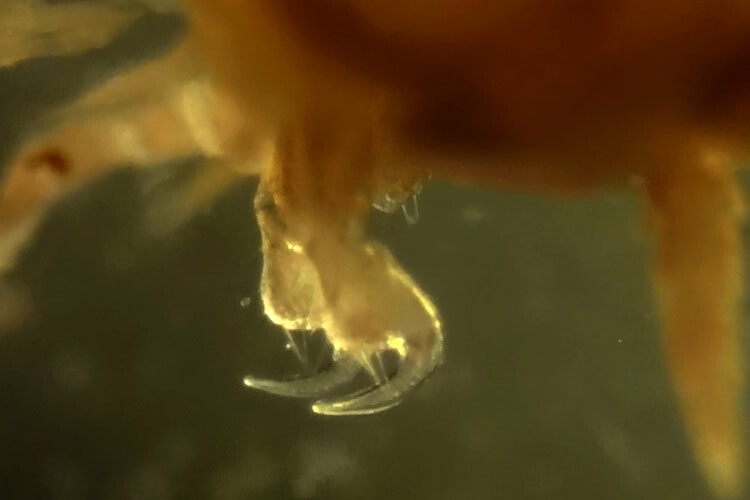 It could be confused with other species that have a pointed projecting telson, such as Julus scandinavius, Haplopodoiulus spathifer or even Tachypodoiulus niger, but the male's sickle shaped first pair of legs is typical of Ophyiulus spp. (see image to right). A description, with figures, is given by Gregory (2018). A male and female were collected in November 2015 from a Local Wildlife Site in Oxford city, with additional specimens collected the following spring. Gregory, S.J. 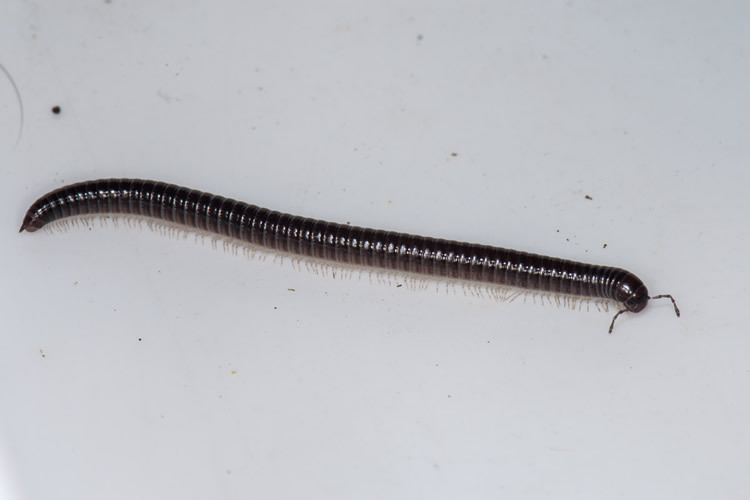 (2018) A millipede new for the UK: Ophyiulus germanicus (Verhoeff, 1896) from Oxford (Diplopoda, Julida: Julidae). Bulletin of the British Myriapod & Isopod Group 30: 61-67.